IT’S NOT ALL about the storefront here at the Hacienda these days. Part of it is about changing color, a new look, a new frock design. An old girl desires change. 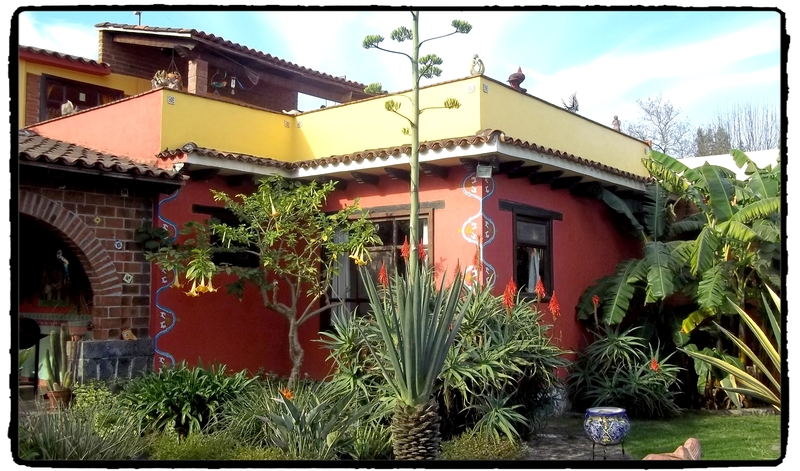 Above, you see a fresh yellow around the upstairs terraza exterior. Previously, for 12 years, that area was green. See below, a photo from almost a decade ago. The painter is also going to refurbish those windows. They are dry and flaked. He’s scraping them down to the bone and will repaint with some product that’s used on basketball court floors. The sun is brutal in the mornings, unkind to wood, and drastic measures are required. You see that maguey in the top photo, the one with the stalk that shoots up over 20 feet? It’s visible in the second photo, just barely, at the bottom, off-center a tad to the right, tiny. Not the bigger, dark green maguey, which is long gone, but a smaller, lighter green one, below, muy chiquita. And the walls are going up today on the storefront. This morning there was frost on the lawn, so winter is on its way. We sit 7,200 feet above sea level where the air is clear, the sky is blue, and black vultures and ravens circle overhead at this moment. The house is looking spiffy. I like the yellow. It adds an interesting contrast. Señor Cotton: Thanks. That was how I looked at it. A different contrast. I love the contrast…great choice…viva Mexico! Charles: We are of one mind. It’s strange how something that looks fine in one environment looks outlandish in another. Were I to paint a house this color in many parts of the U.S., it would simply look nuts, and likely would be in violation of zoning laws. There are some Caribbean neighborhoods here in Boston, with the paint colors to prove it. Yet what would look charming on a Caribbean island or in Mexico just looks ridiculous here. There’s something about the light that’s different and not flattering to such paint colors. But in Mexico, they come alive. 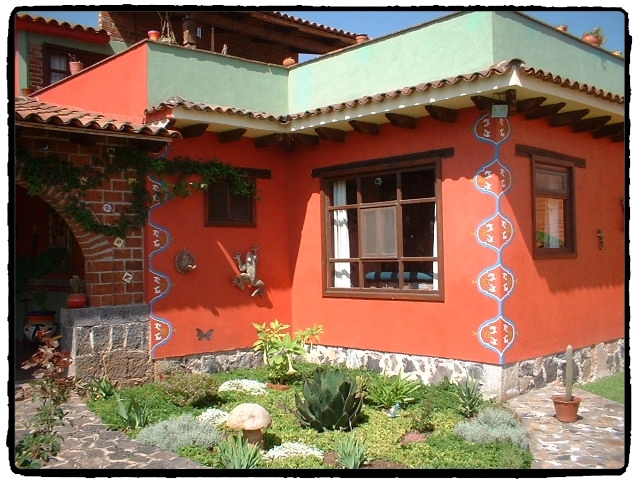 Where we live in an uncharacteristically colorful house. Kim: Caribbean colors in a Boston snowdrift? That would not be right. Yes, the light would have something to do with it. Makes sense.